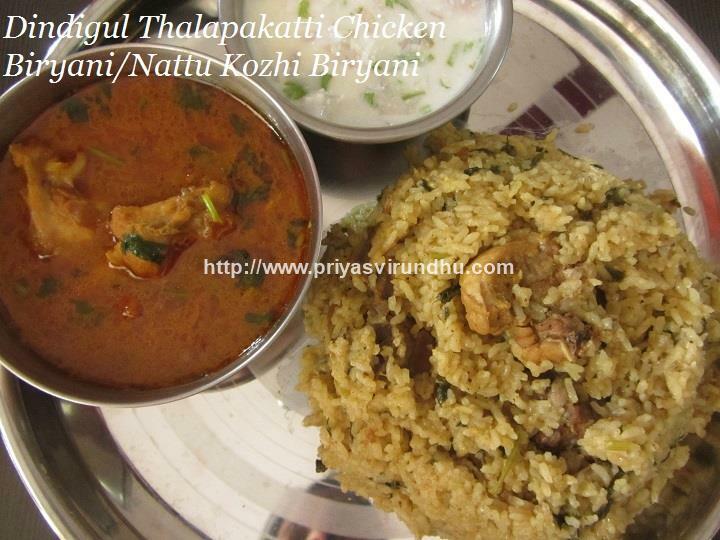 Today I am to going to share my all time favorite Dindigul Thalapakkati Biryani recipe from my kitchen. I have made this Biryani with Naatu Kozhi/Country chicken, it was extremely flavorful and authentic, traditional taste. I have tried to make thalapakkati biryani many times, from different recipe source, but this one is the ultimate one and just like the restaurant biryani. This recipe is from Chef Nagaendran of Thalapakkati Hotel which I came across in Kannamma Cooks. I just love this extremely flavourful and super tempting biryani. Do try it out friends; you will fall instantly in love with it. This recipe involves lots of peeling and grinding, but just worth it. And also friends, do check out other Biryani[veg/nonveg] and other Non vegetarian recipes in the links and have a great day. 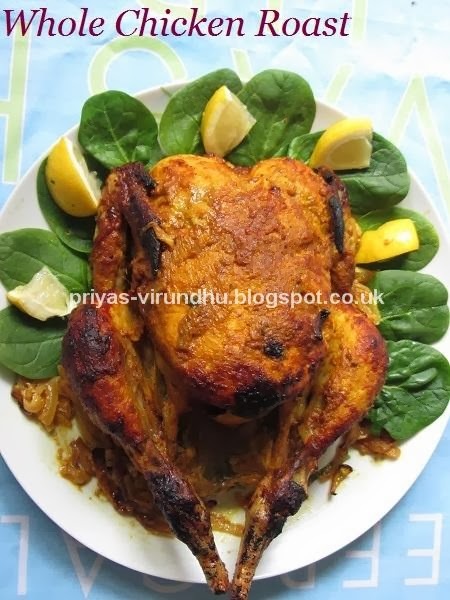 Here’s how to make Dindigul Thalapakkati Chicken Biryani with step by step photos…. 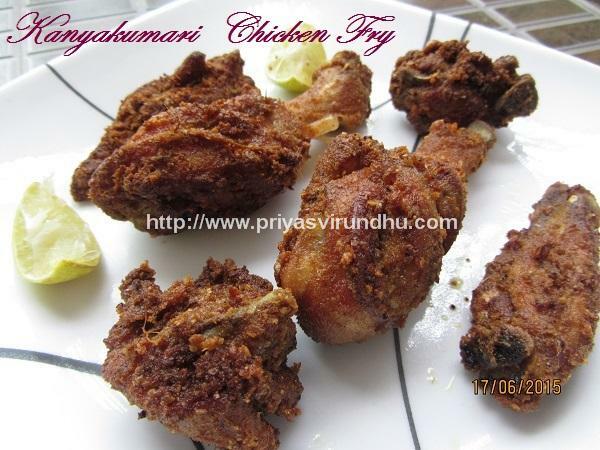 After a very long time I am posting a chicken recipe, this chicken fry is my husband’s favorite. 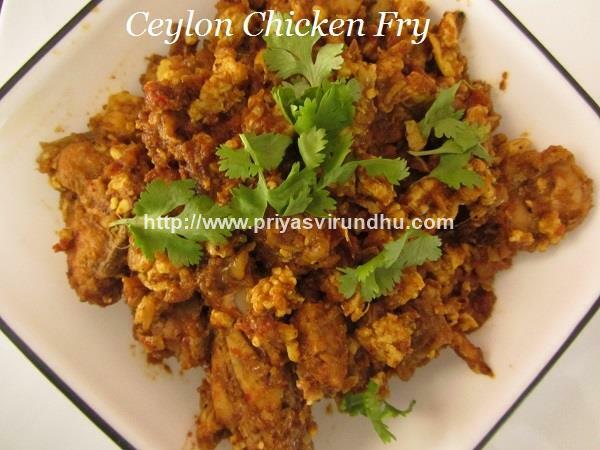 This Ceylon Chicken Fry is Chef Dhamu's recipe which I have been doing for more than twelve years. Do try it friends you will instantly fall in love with it. Meanwhile check out other Chicken & other non-vegetarian recipes here. Coriander Chicken Masala is an aromatic, tempting, addictive and colourful chicken masala. 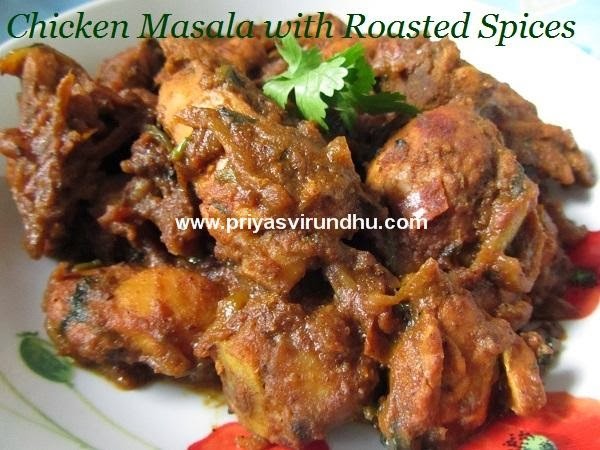 The chicken is cooked in ground coriander leaves paste along with other spices. This chicken masala is a perfect Sunday special. 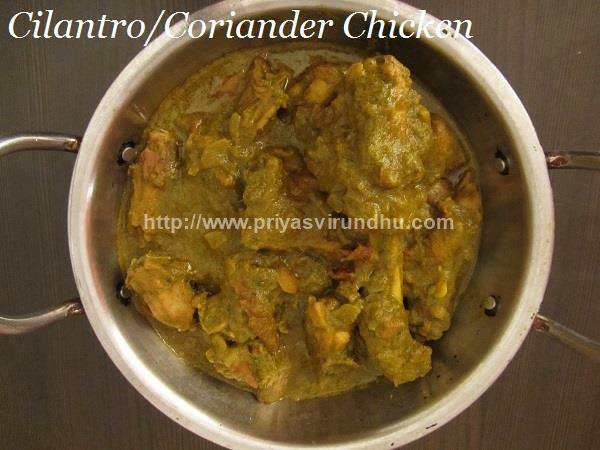 Do try out this Coriander Chicken Masala and post your comments. 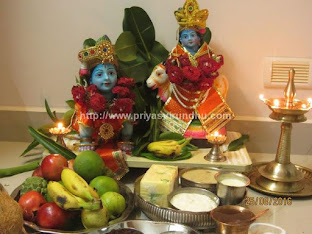 Today I have come up with a Sunday Special “Kumbakonam milagu kozhi”, which I came across in a TV show. I have posted Pepper Chicken before, but this one is a lot different in its taste and texture. This Kozhi Milagu is spicy with goodness of black pepper powder, also rich and creamy with the addition of cashew nut paste. 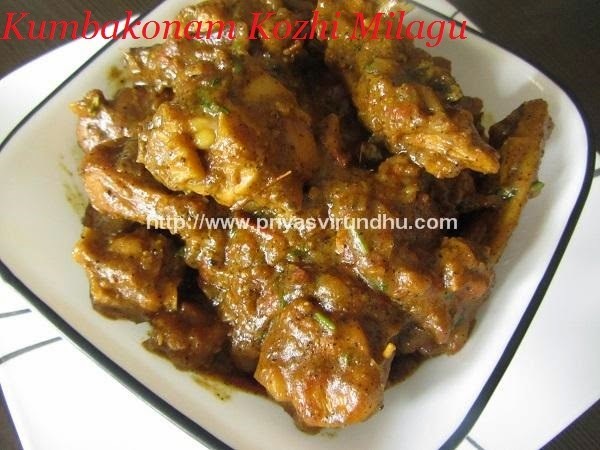 Do try out this finger licking Kumbakonam Milagu Kozhi and have a great day. Check out other delicious Chicken varieties here. 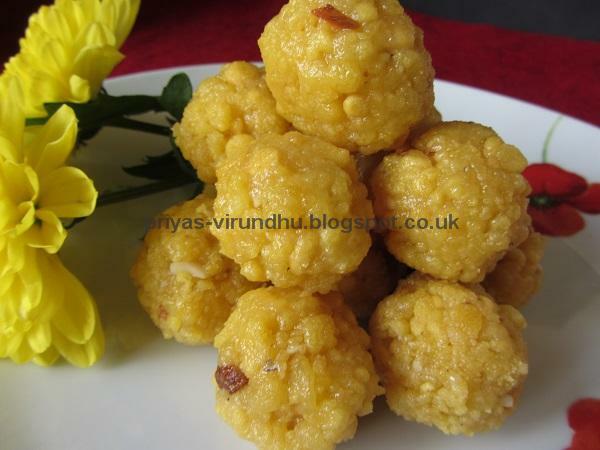 Here’s how to make Kumbakonam Milagu Kozhi with step by step photos…. 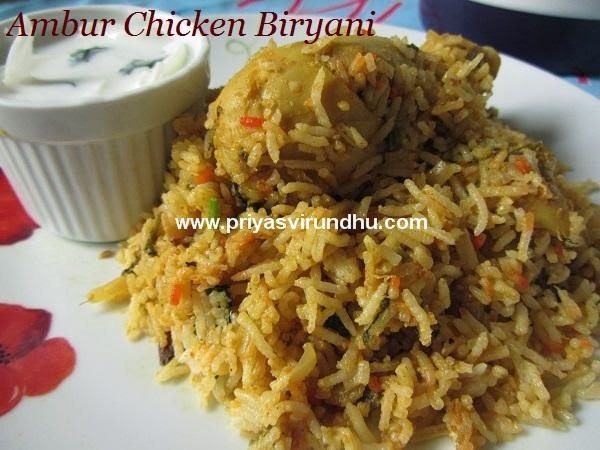 Fried chicken biryani is unique in taste and different when compared to the regular biryani’s we make. 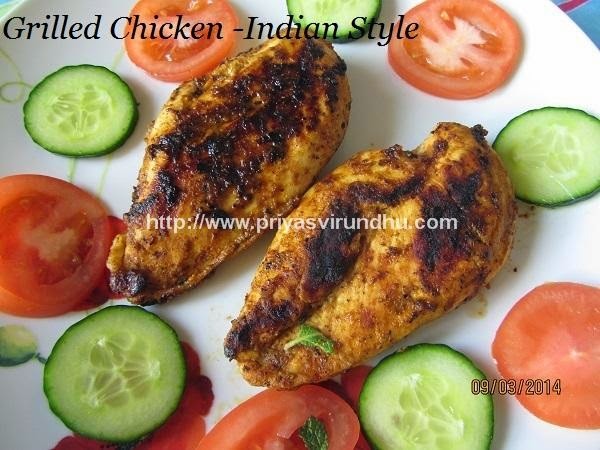 The chicken is marinated, fried, mixed with masala and then layered for dum process with rice. The chicken has to be deep fried before adding to the masala, but I have just shallow fried it to cut down the calories. Do try out this tempting and lip smacking biryani and post your feedbacks. 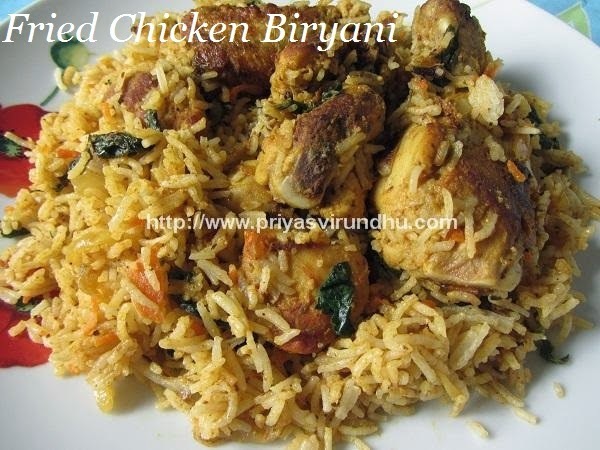 Check out other delicious Biryani Varieties here. Without any further delay let me move on to the recipe. 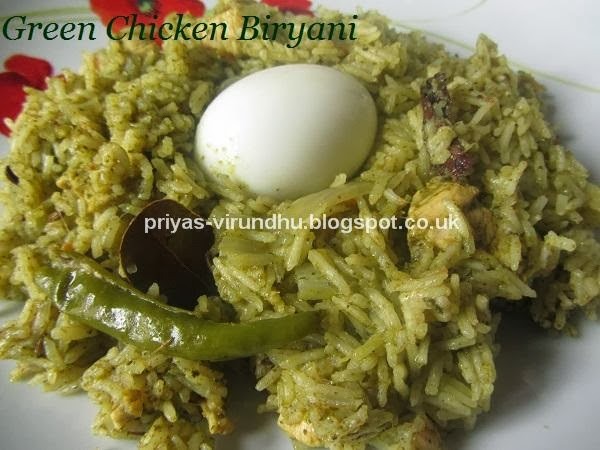 Here’s how to make Fried Chicken Biryani with step by step photos…. 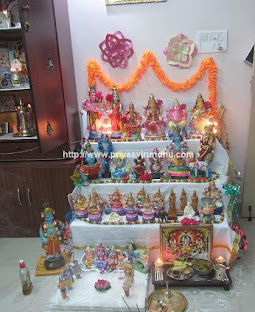 Ambur is a town in Vellore District in Tamil Nadu. 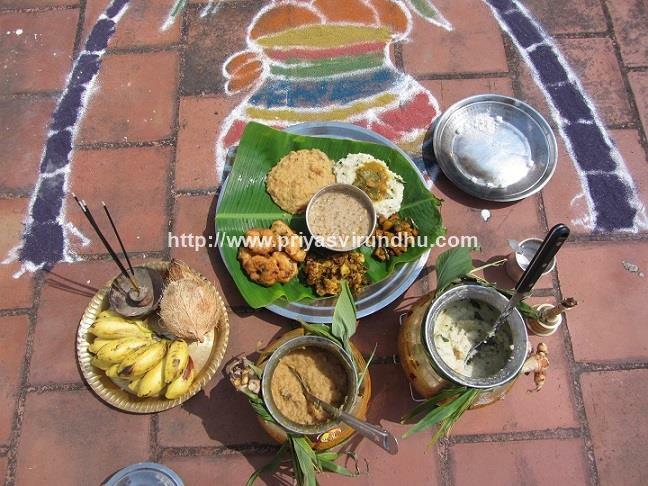 It is famous for making one of the best Biryanis in South India and is seen in most of the restaurant menus. Ambur is popular not only for biryanis, but also for leather tanning. Each town, district, community, hotels have their own way of making biryani like Dindukal biryani, Chettinad Biryani, Ponnusamy biryani, Anjapper biryani, Salem biryani etc. Though we try and taste different biryanis our search for it never ends. I have had Ambur Biryani back in Chennai several times and I just love it. This is Chef Dhamodharan's Ambur Chicken Biryani with little changes. I have made this several times but I never get a chance to get the clicks. But this Sunday I made sure I could get as many pictures as possible to share it with you all. This Chicken Masala is aromatic and made with freshly roasted and ground masala powder. I have already posted simple and quick chicken masala, but this chicken masala is a delicious variation with dry ginger powder and added twist. 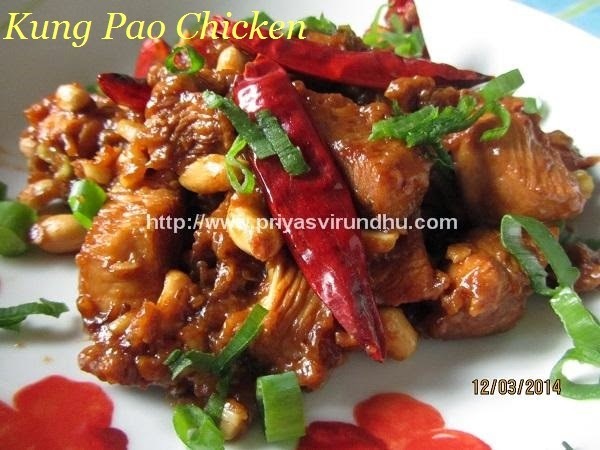 Do check out other chicken dishes here. 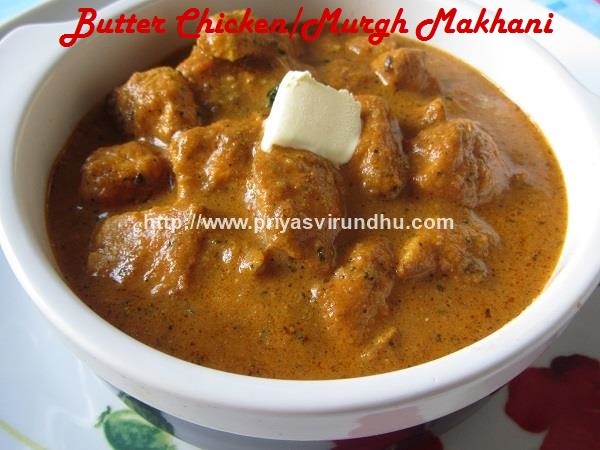 Here’s how to make Chicken Masala with step by step photos…. Yesterday I did post Chicken Tikka, today I grilled another batch of chicken tikka and made the very famous, authentic and traditional chicken tikka masala. This chicken tikka masala is Chef Sanjeev Kapoor’s recipe whom I adore a lot. Do follow this fool proof recipe and you will surely not fail. 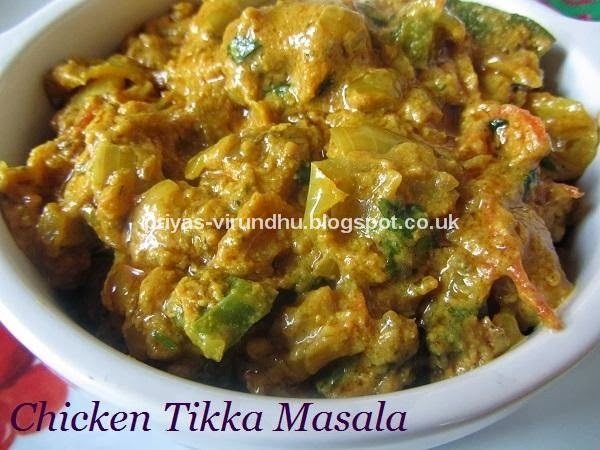 So friends when you can make Chicken Tikka Masala, restaurant style what are you waiting for? Give it a shot and you will surely love the rich, creamy and delectable chicken tikka masala. Chicken Tikka is a very popular and authentic dish in the Indian subcontinent. Not only in India or Pakistan it is very famous around the world and seen in most of the restaurant menus. 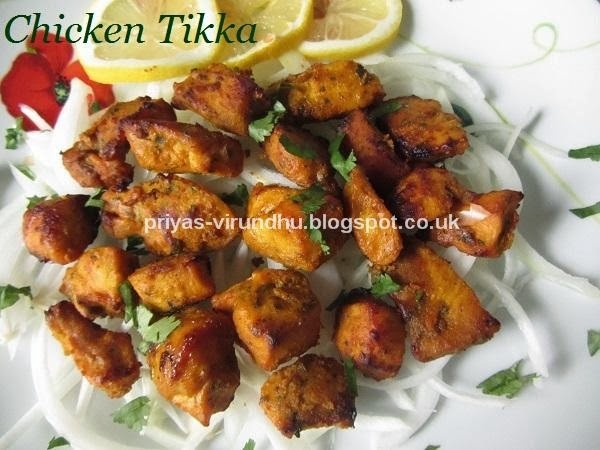 The word “Tikka” means “bits” or “pieces”. Chicken Tikka is traditionally made with small pieces of boneless chicken, by marinating them with mixture and spices and yogurt, then threaded in skewers and baked in clay-based oven called the tandoor. Chicken Tikka is most places is also grilled over red-hot coals and brushed with ghee for added flavor and taste. Today I am going to share with you all a very delicious and easy whole chicken roast infused with all Indian spices and oven roasted. With not much of introduction I am moving on to the recipe. 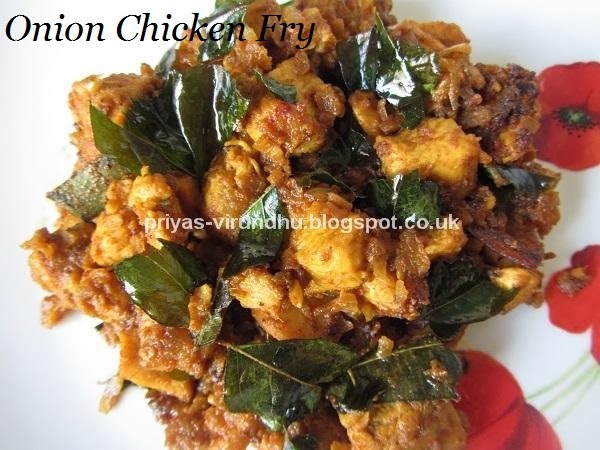 Are you looking for a quick, hassle free chicken fry without any grinding, then here it is – Onion chicken fry. 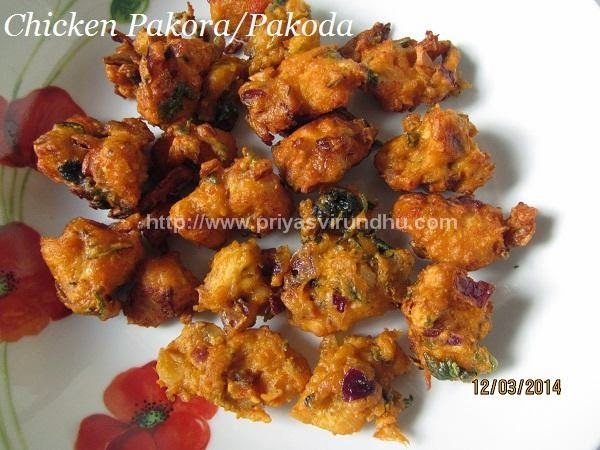 It is perfect for bachelors and if you are really in a hurry to cook something fast, delicious and mouth-watering. Roasted chicken drumsticks are one of the easiest and my most favourite party food. 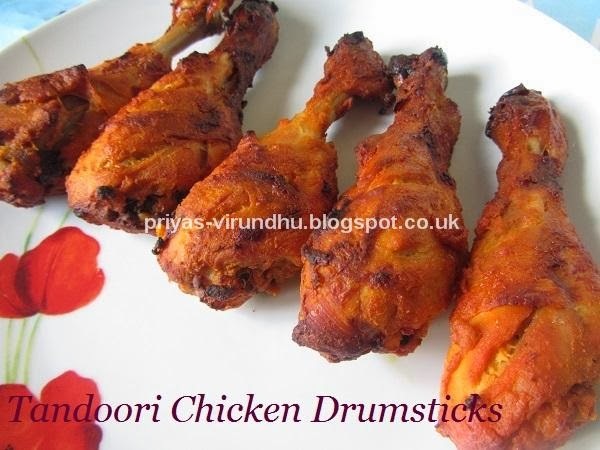 This chicken drumsticks is loaded with flavours and spices and but requires very little preparation. Just marinate the whole batch of chicken drumsticks the previous night and bake or grill it in the oven the next day. Tada!!! A classic Indian Tandoori Chicken is ready; who can resist this wonderful, flavour packed chicken drumsticks. Here’s how to make Roasted Chicken Drumsticks with step by step photos…. 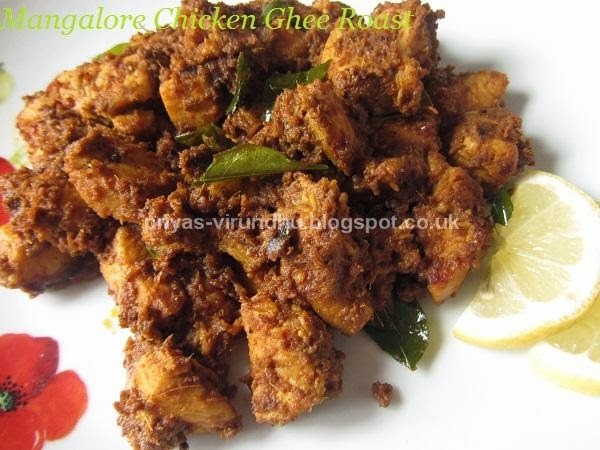 This Chicken Ghee Roast is very famous in Mangalore, you will surely get to see it in all the restaurant menus. Whenever I get to visit my friend I love to have this chicken, usually this chicken with made with bone and skin. The aroma of the ghee, curry leaves and bright red color of the chicken you will surely finish it off in no time. Here I have used the boneless chicken. Make sure you should be generous with the amount of ghee which gives the unique taste and flavour to this chicken roast. 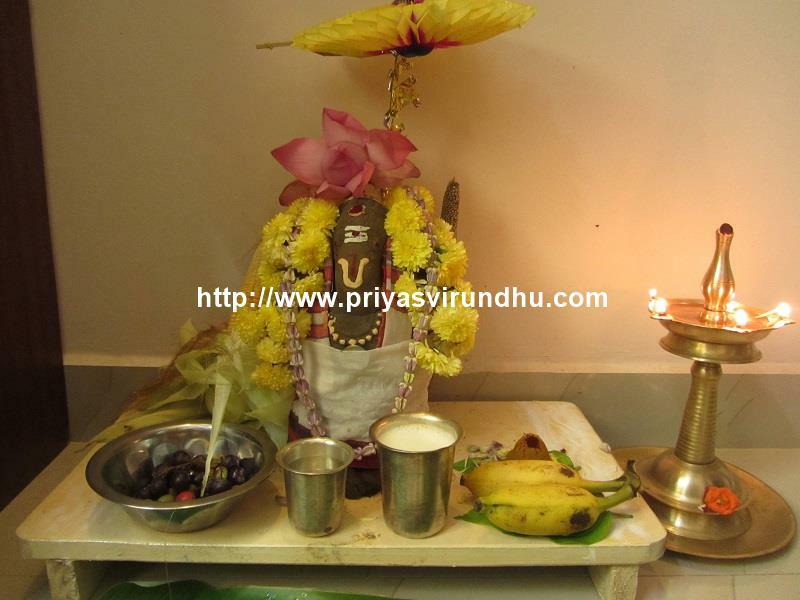 Here’s how to make Chicken Ghee Roast with step by step photos…. Wishing all my Muslim friends and readers a very Happy EID. Today in Priya’s virundhu it is a very delectable, common and a very famous North Indian dish – Palak Chicken Curry/Spinach Chicken Curry. 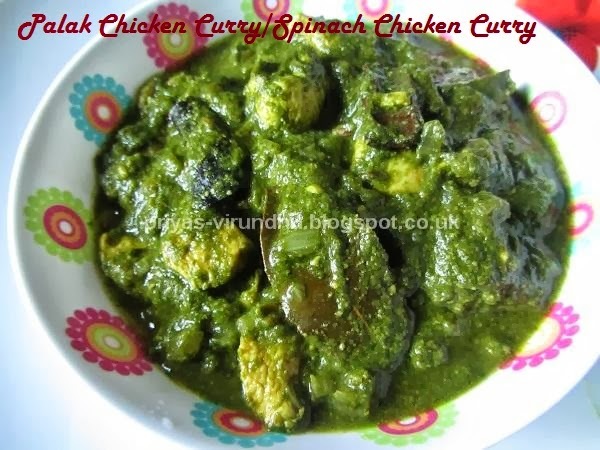 This palak chicken curry is a beautiful blend of spinach with chicken, infused with all aromatic Indian spices. Try it out friends you will all love it.